The intent of this manifesto is to help launch a ‘co-disruption movement’ so that established organizations can better fend off their respective Uber or Airbnb! 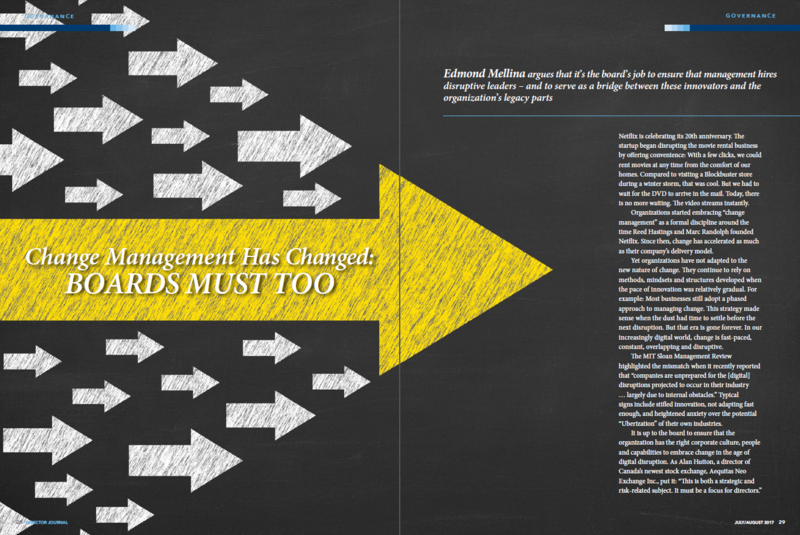 In the article Change Management Has Changed: BOARDS MUST TOO, I explained that established organizations (as opposed to start-ups) desperately need leaders who take a highly collaborative approach to disruption from within. I call these special talents the co-disruptors. The problem is that effective co-disruptors are few and far between. To make matters worst, the good ones tend to be underleveraged. For example, they are assigned to roles in which they cannot fully work their magic. As a result, established organizations are too slow to tackle the transformation imperatives of our digital era. They are struggling with the new nature of change which is fast-paced, constant and disruptive. PDF version of the article as it appeared in ICD's Director Journal.